The ongoing drive toward achieving an interconnected approach to managing every aspect of a brand is leading a growing number of businesses to shift the control of interconnected marketing (once known as integrated marketing) in-house. True, there are still those achieving marketing ‘interconnectivity’ by devolving responsibility to a designated ‘lead agency’. And others, which have established hybrid agency/client teams, are making considerable strides. 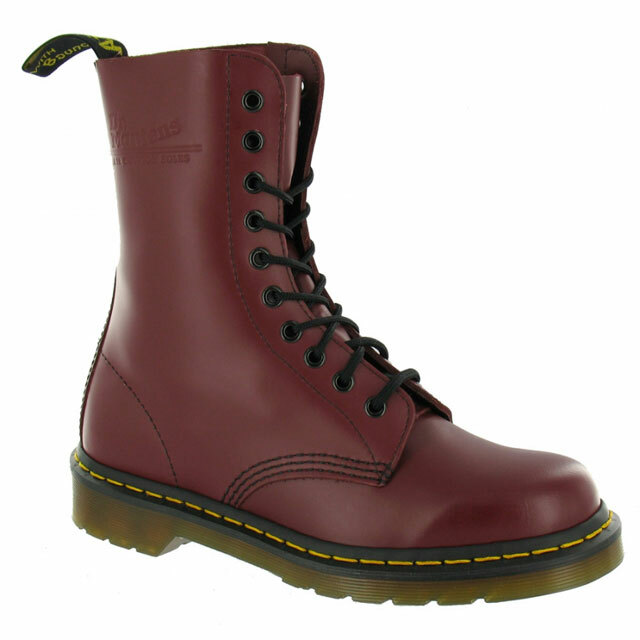 However, for the likes of Dr Martens, EE and Land Rover, a firm belief that in today’s always-on, digital marketplace the most-powerful brands start and end with just one person, the consumer, means the only way is a tightly controlled, central approach, closely managed from conception through development, implementation and evalu­ation in-house. For these companies, the first step to achieving the interconnected results desired was to get the internal structures, systems and processes in order. Now, a year or two on, fresh challenges are coming from rapidly evolving technologies in the new-media landscape. They must identify how to capitalise on social media’s potential to act as a glue – binding together different elements within an interconnected marketing strategy. 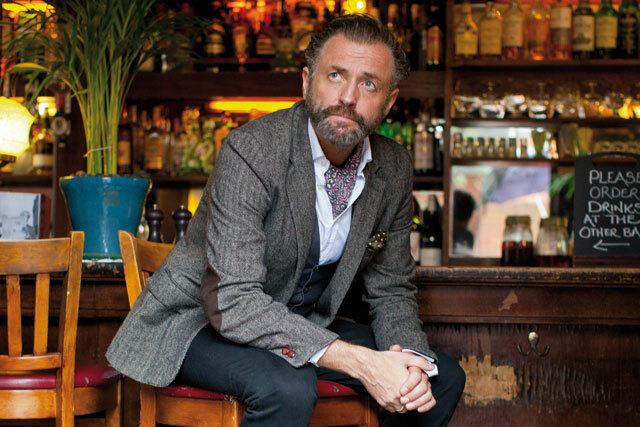 An interconnected approach to marketing is the only way to connect effectively with a varied consumer base like Dr Martens’ in a digital world, says Simon Jobson (pictured). use our boots and shoes to reflect their personal identity, a rebellious spirit and what they want to stand for," he explains. "We are very conscious of and keen to ensure all we do is rooted in relevance so that our consumers can identify themselves in all our communications. So, everything we do must work across brand communications, PR, retail marketing at point of sale, local proximity and music activation, as well as digital, including social." However, it was not always so. Over the years, Dr Martens’ branding had grown fragmented, with marketing devolved to separate teams with differing strat­egies in the US, UK and Asia. The result was that the brand had become diluted and its messaging unclear. Then, in 2011, Jobson appointed ODD London, an agency with which he had worked in two previous roles, to help produce an overall creative identity and image, tone and messaging for the brand that would be easy to control. A critical next step was the decision to switch the emphasis in brand com­munication from models to real people. 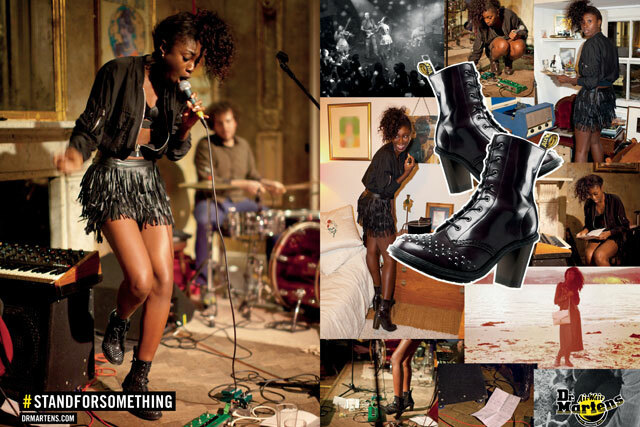 Today, Dr Martens’ marketing approach is interconnected and charac­terised by two key features. First, the centralised creation of all core marketing assets, which are then given to the local teams, by market and region, for grass-roots activation. Second, marketing department culture. "By this I mean giving everyone clear guidelines from the centre," says Jobson. "Top-level creative is briefed by me. Specialist creative is briefed with direct involvement from the lead creative agency to ensure clarity and consistency. We also have an internal creative team responsible for high-volume, quick-turnaround creative." Jobson adds: "We are very tight on everyone who works with us – both internal people on the marketing team and external agencies – to ensure a clear under­standing of our business and values, which enables each to clearly translate what’s right for the Dr Martens brand." Jobson oversees a 25- to 30-strong marketing team, comprising a central marketing unit plus teams that are dedicated to the UK, US, France and Asia, as well as in-house creatives. As well as Dr Martens’ lead creative agency ODD, the company works with agency specialists across a range of disciplines. 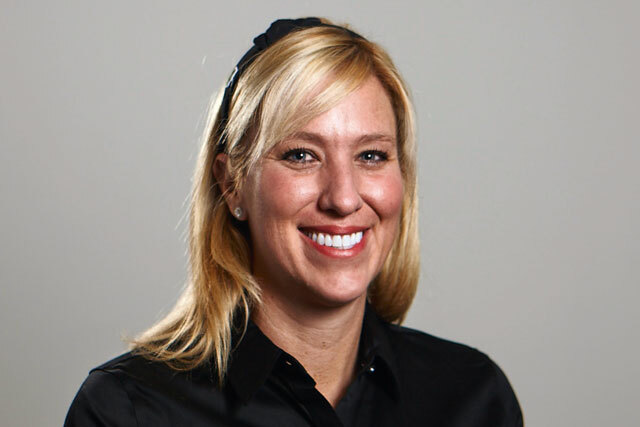 very consistent, clear and focused messaging," ob­serves Jobson. "One particular challenge we face is that ours is an organisation that encourages an entrepreneurial spirit – especially at retail – so, as marketers, we must tread carefully [so as] not to stifle creativity, while ensuring people who work with us do not go off-brand." Social media is of growing importance to the brand’s marketing strategy. "It cuts across everything we do," explains Jobson. "Once customers have been acquired through pure brand commu­nications, they are funnelled down to social channels and retail platforms." He adds: "Our emphasis is to build networked conversations with them and, where possible, use them and the content they create as brand advocates." To make the most of social, however, it is vital that brand content is authentic, relevant and, ultimately, simple. "A personal belief is in not over-engineering things," adds Jobson. "Our recent campaign – #standforsomething (see box, above left) – is a great example of this, because it’s simple and makes sense." "Our approach to integration comes from being people-focused as a brand and business," says Spencer McHugh (right), whose in-house team works regularly with a roster of five or six agencies, including Saatchi & Saatchi, Publicis Chemistry and Dare. 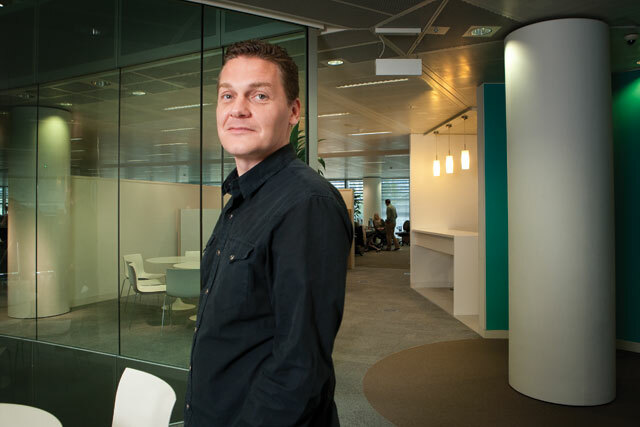 "EE is all about making life easier for our customers – joining the dots – and this feeds across all our marketing communications, too, to make every piece of communication work as hard as it can." The company’s current integrated approach dates back to its launch of the EE brand two years ago, with both an internal focus, on objectives and outcomes, and an external one, on customer-experience, single messages and total consistency. "At the time [leading up to the EE brand launch] we changed some structures and some approaches to working with agencies – notably, taking on responsibility for inte-gration in-house," explains McHugh. "We appointed an in-house lead to ensure integration on a campaign [and] project basis, who, in turn, collates the appropriate agency team for each project or campaign. It’s an approach driven by the kind of inter­con­nectedness we want to deliver every way we can, which is all about customer service and digital experience." we want and how we want to be seen to ensure everyone, internal and external, works together to achieve that same goal," says McHugh. Frontline objectives and "any anticipated nuances" are considered up front, then an in-house lead is nominated, who, in turn, is responsible for selecting one of the roster agencies to take the lead on that project. That said, McHugh insists this is not a lead-agency approach, as such. "An on-going challenge for all of us is to get the best creative ideas and you do this by balancing a degree of competitiveness between agencies with a need for them to work together and collaborate,"
he explains. "Our role in achieving this is to foster and encourage a level playing field, openness and transparency." As a digital brand from the outset, it is an integral part of EE’s business, while digital experience is a key consideration. "Digital can also act as a glue holding together different elements of a campaign – reinforcing, amplifying and interconnecting them – to make it more integrated and cohesive," says McHugh. He adds: "Success comes when the customer is central to everything you think and do and every business process, which is why a business like Amazon does what it does in so closely integrated a way. "But that’s not to say a digital business has an innate advantage when it comes to being interconnected. Rather, it’s about how those companies that effectively straddle the online and offline world, from product or service to customer experience and marketing communications, are the most successful. "In an interconnected, multichannel world, it’s all about attitude vision." "The days of thinking about any discipline within our organisation in isolation from any other are long gone," says Laura Schwab (right), who oversees a 25- to 30-strong in-house marketing team, regularly working with a roster of six to seven external agencies, including RKCR/Y&R. "You can’t have an event, for example, without think­ing about brand experience and social media," she explains. The media landscape has changed to such an extent and people want to engage with brands in a different way. "Whether it’s physical touch or social, our cus­tomers don’t ‘silo’, so, as a business, nor should we," adds Schwab. Land Rover’s centralised approach to marketing interconnectivity, which it introduced three years ago, is built on three pillars: having the right people with the right mindset in-house; working with external agency partners that share that mindset; and clear lines of responsibility and accountability. Interconnected thinking cannot be relied on to trickle down from above, argues Schwab. Nor can one assume people will work collaboratively just because they are asked to do so. Great ideas can come from anywhere, she adds, but they must be delivered collectively. Schwab believes that the biggest obstacle to interconnected marketing is time. "You need time to establish the right process, but then once that’s in place, you also need to be able to plan the next campaign while implementing the current one," she explains. "This means you have to carefully partner your planners and strategists and so on. Get this right, and you can effectively move forward, rather than focus only on the here and now." Schwab cites Land Rover’s recent ‘Can and will’ campaign as a case in point. "‘Can and will’ sits between our creative and media agencies, though it has partnership and digital elements that require everyone to work together to bring it to life," she says. ‘Can and will’ was created to inspire people to challenge themselves and fulfil their ambitions. As well as featuring the stories of people who embody this spirit, it also invited others to share their own tales. The campaign culmi­nated in September with Jaguar Land Rover’s sponsorship of the Invictus Games in London. Inspired by the Land Rover brand’s ‘go-anywhere’ attitude, ‘Can and will’, launched in June, was conceived to encourage and inspire people of all ages to challenge themselves and fulfil their ambitions. 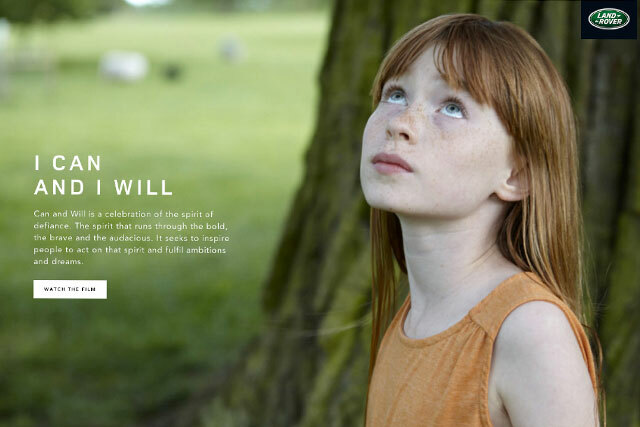 A UK television ad showcased real people with a ‘Can and will’ spirit.The story behind each extraordinary individual was made available on a campaign website, www.canandwill.co.uk. The theme fed into a summer of live events and activities, supported by cinema, extensive social-media activity and digital placements.A series of mini-documentary films was also commissioned in partnership with Channel 4. These were broadcast during breaks in the broadcaster’s programmes on its digital platforms.Throughout July, Land Rover curated further inspirational ‘Can and will’ stories through TED.com. The campaign culminated in September with Jaguar Land Rover’s sponsorship of the Invictus Games in London, an international sporting event for ‘wounded, injured and sick service personnel’.‘Can and Will’ was inspired by sponsorships and events planned months, if not years, ago. "Though we signed off on this summer’s sponsorships a while back, they all resonate with the brand, and now ‘Can and Will’ ties them all together," explains Schwab. "It’s come full circle." 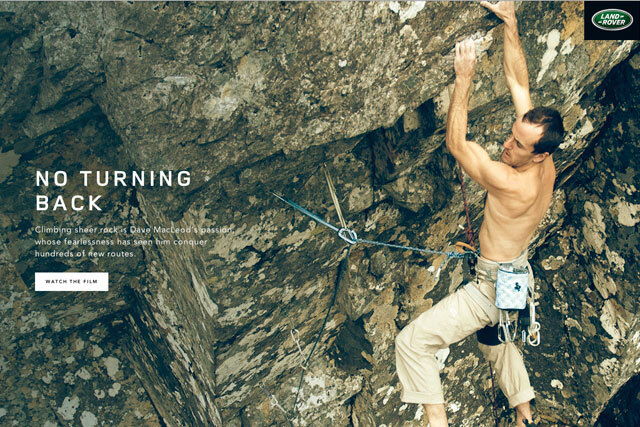 This same, interconnected approach is driving Land Rover’s autumn 2014 marketing activity and following campaigns.